Drive in Pouring Rain without Wipers-simple removal of ice-if it sticks at all! 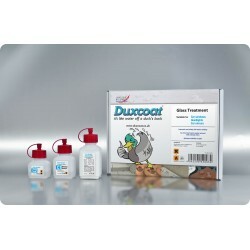 Duxcoat Nano Glass sealing provides for safer driving in foul conditions for up to 1 year. 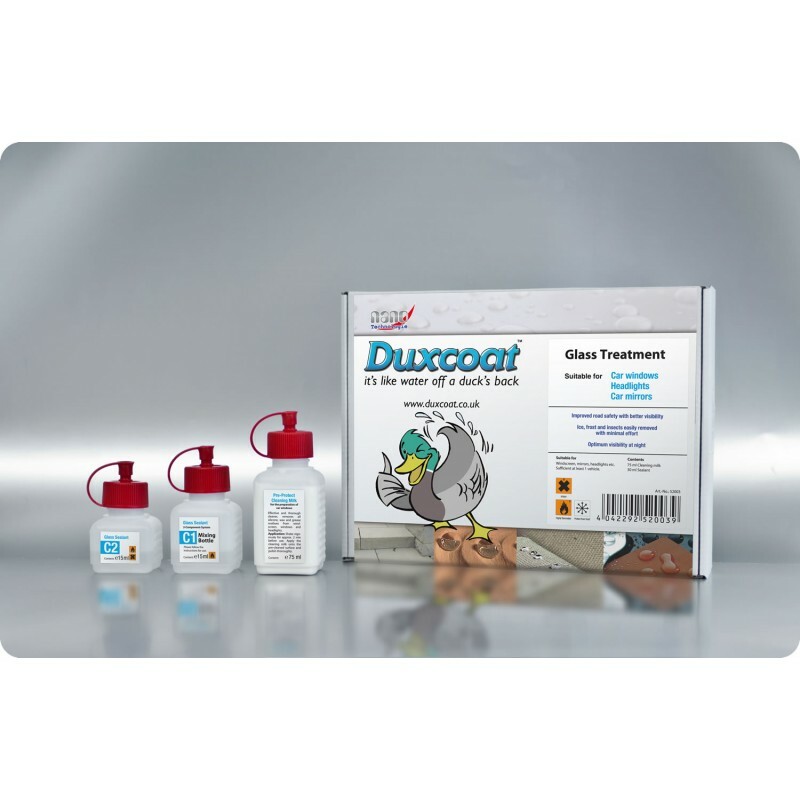 This simple to apply product will treat all windows, headlights and wing mirrors. Once treated the surfaces are dirt and water repellent. Night time driving in pouring rain becomes a very different experience; you won’t even know it’s raining once driving over 40 mph!!. The Sealant is UV- resistant plus resistant to car washes and chemical cleaning. Simple removal of bugs in summer, ice in winter.